Concept : technically, Specular Tempus is a blank slate pedal with 8 algorithm slots (presets) into which you can put your favorite reverb and delay algorithms. 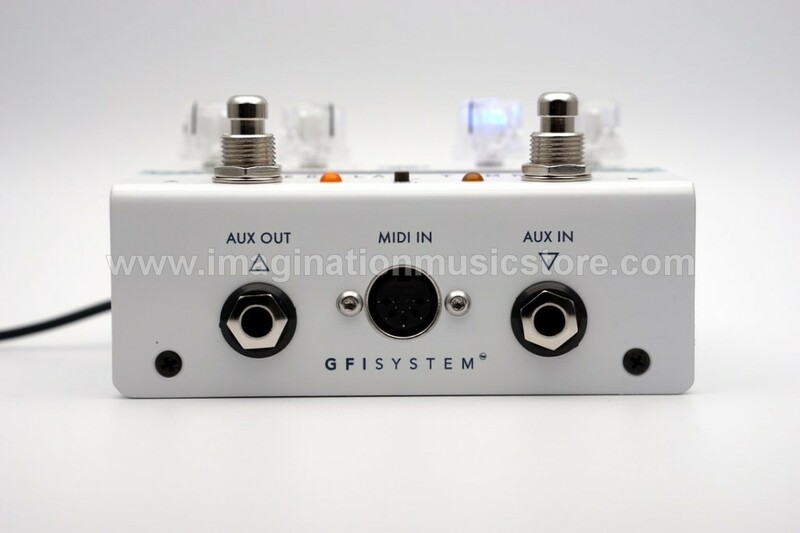 The algorithms library comprises 13 reverbs, 13 delays, and 6 reverb & delay combinations. The algorithms may be further customized via the SpecLab software. See algorithms information here. Preset System : the 8 presets are organized in 4 banks, each bank contains 2 patches : A and B.
Analog Dry-thru : dry signals are routed through a pure analog path. 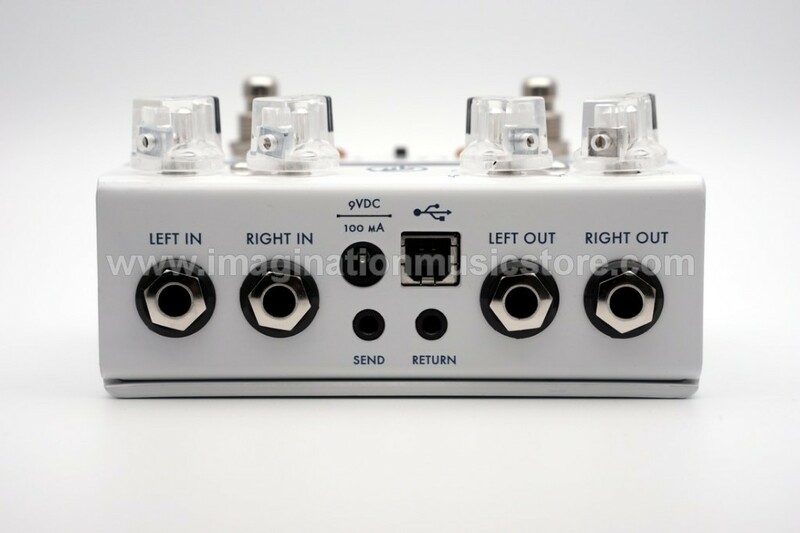 Small form-factor : the pedal measures 12 x 9 (cm) or 4.7 x 3.5 (inch), pretty small for what it has to offer.